“I haven’t even begun to make music.” This is what legend of dark electronic music, Klayton of Celldweller, claims throughout his interview. Looking back through his career we see a pattern of success, from remixes for big bands to appearances on countless film and video game soundtracks, yet his attitude is far more modest. The past is no longer relevant, the future is all his mind currently focusses on. In terms of how his music is being made, big changes are occurring in his studio. “I’m actually in the process of moving over into a new [digital] environment, it’s a fairly big move but I’ve already started that transition. “The second biggest thing that has really inspired my direction and some of my focus is not software, but actually hardware. I have been expanding significantly my modular synth set up which is all hardware based. Modular synthesis of all different styles from the extreme and crazy to the very warm and beautiful sounding type stuff.” With a new set-up for the new year, expect Celldweller’s sound to, once again, change the standards of EDM for 2013. It is clear that there are a lot of projects in the works that Klayton is thrilled with, some he can say, some he can’t. One project he blurted has all the call-signs of a Celldweller classic. “There’s a track called ‘Re:memory’ and it actually ties to something I’ve not been able to announce yet.” At this point it is clear, even his secrets have secrets. Nevertheless, Klay tries to hint more. “I’m super excited about that piece, which is much more modular synth, almost the arpeggiated sounds of the seventies and eighties synthesiser era, that kind of vibe, and there’s a specific reason for that.” Like an episode of Lost, each answer begs for more questions. So what else? With so much to do, you’d think the conversation would run dry. Instead he pours out more and more projects he’s working on. “I’m packaging new music with another new idea based around Celldweller that I can’t wait to offer to the world. 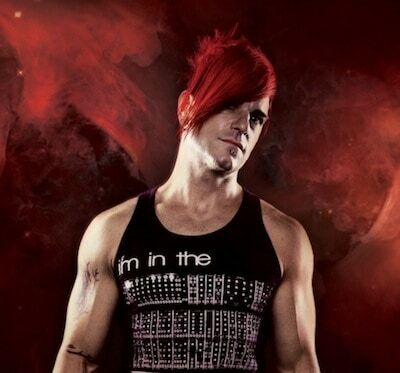 Celldweller has already built something huge, but by the sounds of it, things are only going to get bigger. Writer/Lover/Social Malfunction. 25% Whiskey and Ale. Listening to everything from the Darkest Metal to the Deepest Electronica.